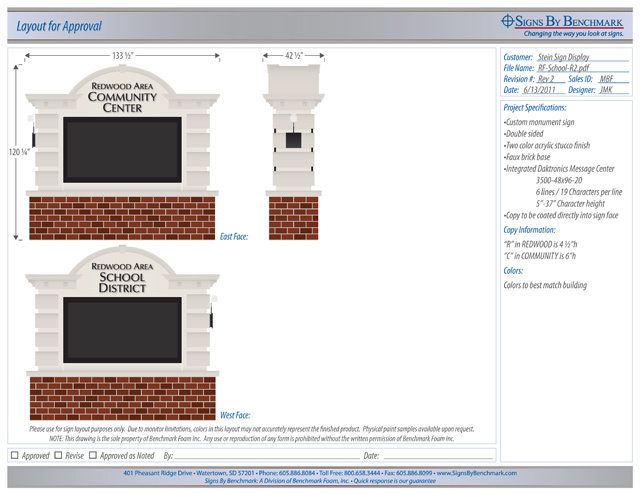 Last year, the team at Signs By Benchmark created a monument sign featuring faux stone for the community of Redwood Falls, Minnesota. Citizens have enjoyed the new welcome sign so much, Signs By Benchmark is creating a second custom sign that will advertise the Redwood Area Community Center and School District. Installed near the local high school, the double-sided sign will feature an integrated Daktronics message center. A faux brick base and two-color acrylic stucco finish will match existing building elements. Copy coated directly into the sign face will provide durability while catching the eye. Manufactured from cellular plastic, the Signs By Benchmark products are assembled, then hard coated to form a solid, strong, durable unit that resists extreme weather conditions. 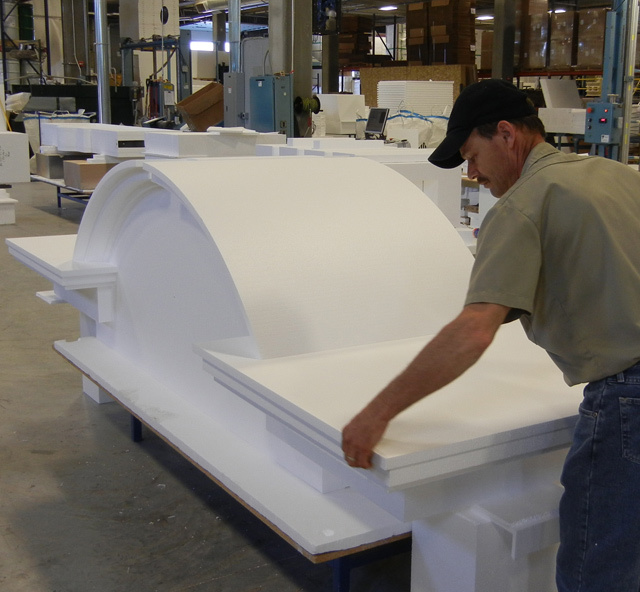 Although they specialize in custom signs, Signs By Benchmark offers a variety of affordable, standard models that can be created as is, or custumized to suit customer needs. Signs By Benchmark also creates custom interior signs that are manufactured using the same high-quality processes used for its exterior signage. Visit the Signs By Benchmark photo galleries to view examples of exterior and interior signage or sign accents such as bases, pole covers and sign tops. Give its team a call at 800-658-3444 or 605-886-8084 to discuss your upcoming projects, then enjoy a successfull collaboration that will bring your customers complete satisfaction.